Welcome to the Madness... Munzee Madness that is! 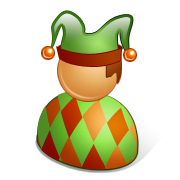 Welcome to the online home of Munzee Madness, the "original" Munzee Reseller. Please click on the "Products" tab to see our offerings of various Munzee items. If you're on Facebook, ask to join the Munzee Nation group! March, 2019: Munzee Madness 8 Road Rally! March, 2018: Munzee Madness 7! December 15, 2017: Most Prices at Munzee Madness greatly reduced! August 23, 2017: TREASURE Evolution Munzee Stickers available from Resellers! August 21, 2017: University Place Munzees available from the Munzee store. August 18, 2017: Expanded Myth Capture Badges! August 15, 2017: Pegasus Mythological Flies into the Munzeeverse! August 11-13, 2017: International Left Handers Stuff! March 3rd, 2018: Munzee Madness 7! Let's go see what we can find!